I don’t know if you have heard about it or not, but there has been some flooding in our beautiful state. When the rain started on Tuesday/Wednesday, all I thought was “yay! It will finally cool off around here.” Then Wednesday night when I was coming home from work, I started thinking, hmmm this has been pretty intense for quite some time. Thursday morning was crazy, I woke up late for work and while getting ready I learned about all that was destroyed during the night . It is devastating! So many of the hikes I have written about here are now inaccessible and who knows how long it will be before they can be reached again and then if they will be in any condition to hike….. maybe for years. As I headed to work that morning I was actually a little scared at how much rain was coming down, how much water was sitting on the streets and how much was raging through drainage ditches along streets and neighborhoods. I live and work in one of the areas hard hit, but was fortunately spared any real damage or flooding near my home. My heart is aching for all those that have lost everything, homes and neighborhoods we would admire as we drove to our next trailhead are now completely gone. It is staggering. Needless to say, I was also thinking about my original planned hike this weekend. It seems like the town it is closest too has not been destroyed or at least did not see enough of the flooding to be mentioned, but I know there are other towns not being mentioned that have been completely leveled. I was also hopeful that the destruction would not carry over into the weekend and then that kept getting extended and extended. 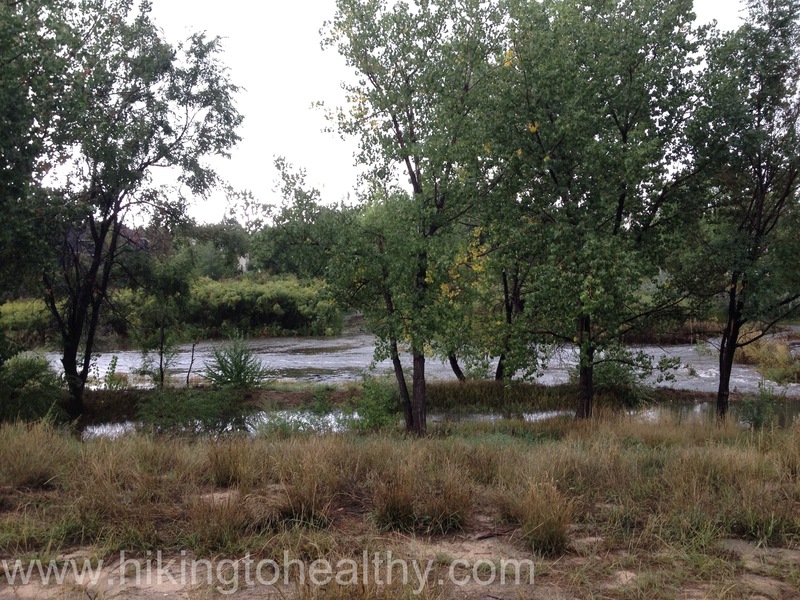 In fact, it is Monday and most of the front range still has flood and flash flood warnings in effect. Friday night we talked about what was smart to do and what we wanted to do, even the smart option had me questioning if we should even walk outside our door Saturday morning. 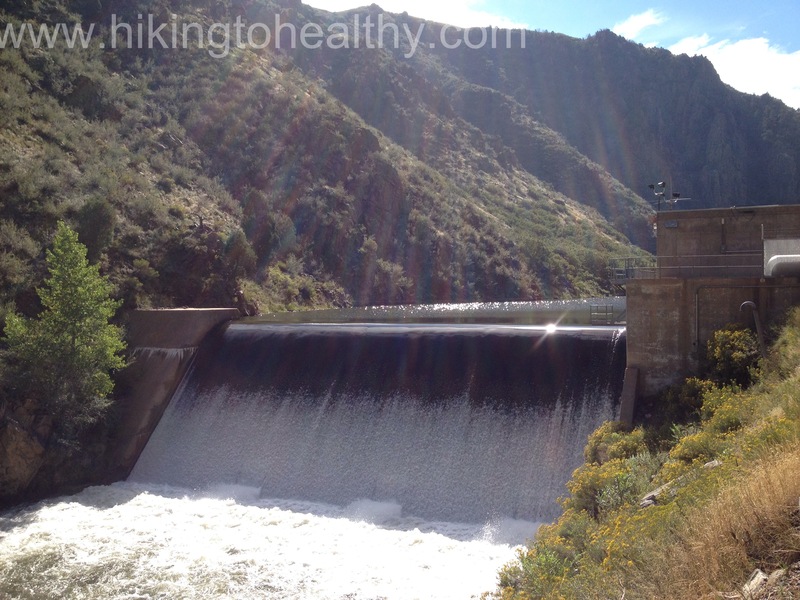 We were up bright and early Saturday morning and made our way over to Waterton Canyon( hike details here), I had a friend who lives close tell me that it had been pretty quiet in her neighborhood and that she didn’t think there were any flooding problems over there. 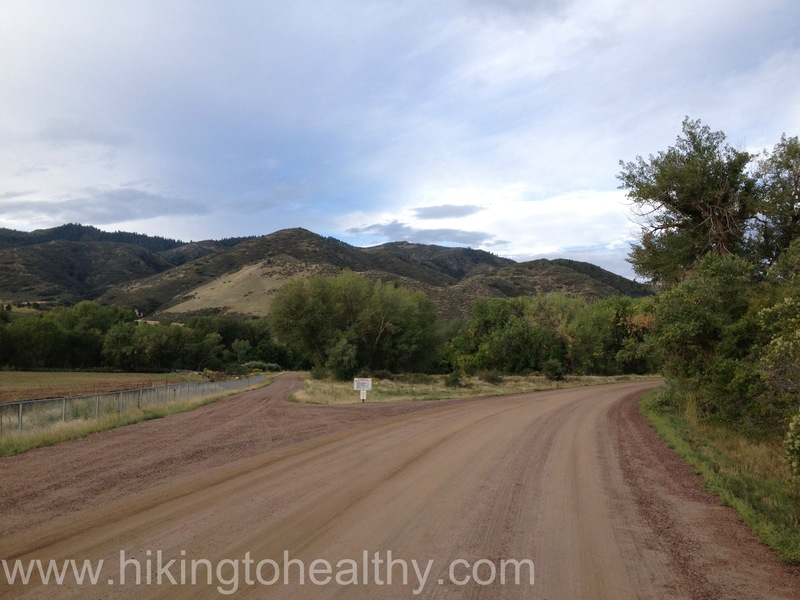 I had decided that we would go there and if the trail looked bad we would turn around and head back home. The parking lot was mostly empty, which is very unusual at 7AM on a Saturday morning but it wasn’t closed. As we were walking along the path, at an excellent pace I might add, we saw some debris piles from obvious issues earlier in the week but otherwise it was in great condition. 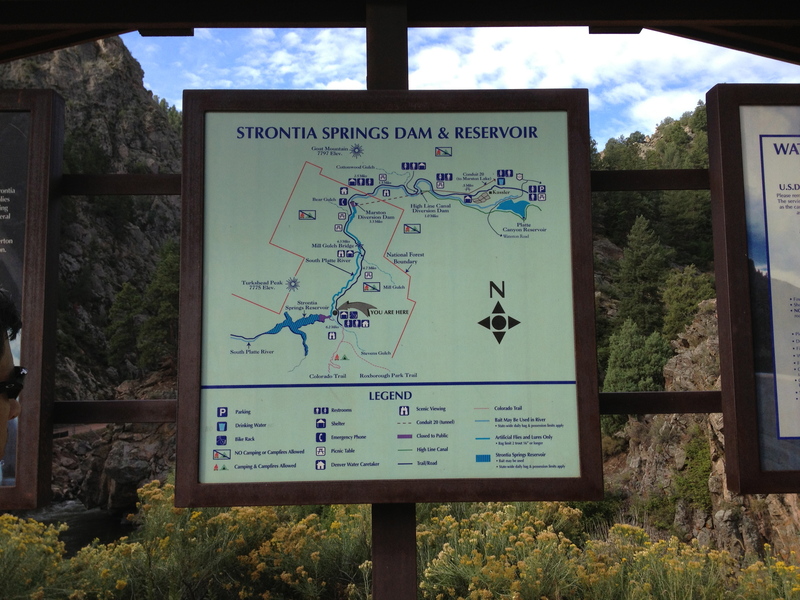 Before we knew it, we had gone past our furthest point previously hiked and so we decided to try for the Strontia Springs. 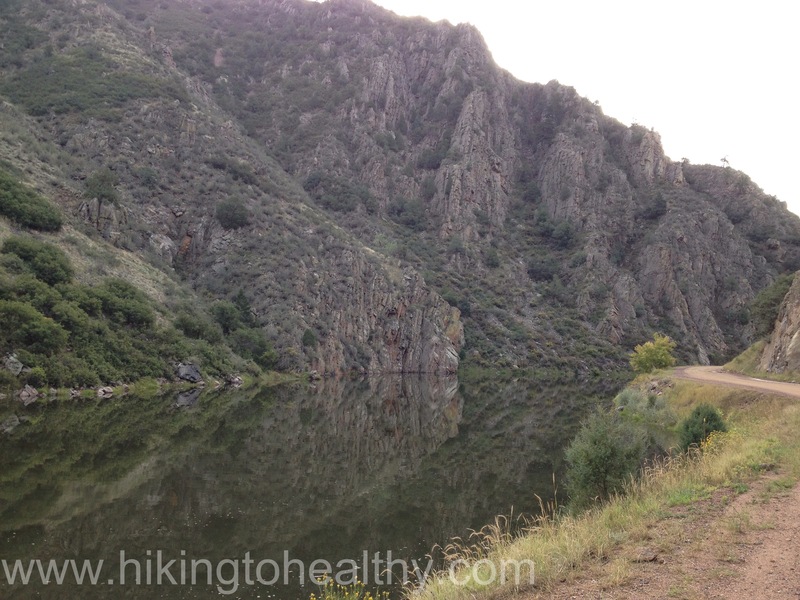 This is when I learned that everything I knew about this hike was a little wrong…. I guess I thought the trail actually went to the springs and that it ended in this picturesque setting that was super beautiful with the Colorado trail a beacon of opportunity taunting you near the springs. What we found was that the Big Dam everyone asks if you made it to, is in fact at the end and is crazy big….like Hoover Dam big! Then it goes into some residential housing and up a little ways is the Colorado trial. 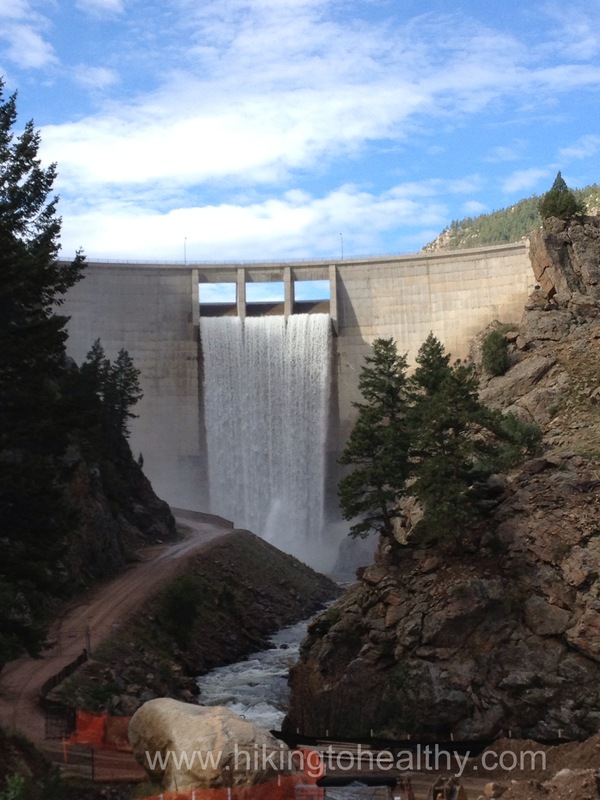 I honestly almost missed the super huge dam because I was looking at the trial map just before we turned around, trying to not be nosy (totally not succeeding) while 2 bikers were talking about how crazy the amount of water coming out of the Dam was. I was like, huh? Walked over to the construction area and there is was… ENORMOUS! I mean how did I not know it was that big and here of all places! One of the bikers pulled up next to me and said (clearly he didn’t notice me ease dropping a few minutes earlier) that normally the water is only flowing out towards the bottom in a small jet no big deal, he had never actually seen the top release ducts used like they were on Saturday. 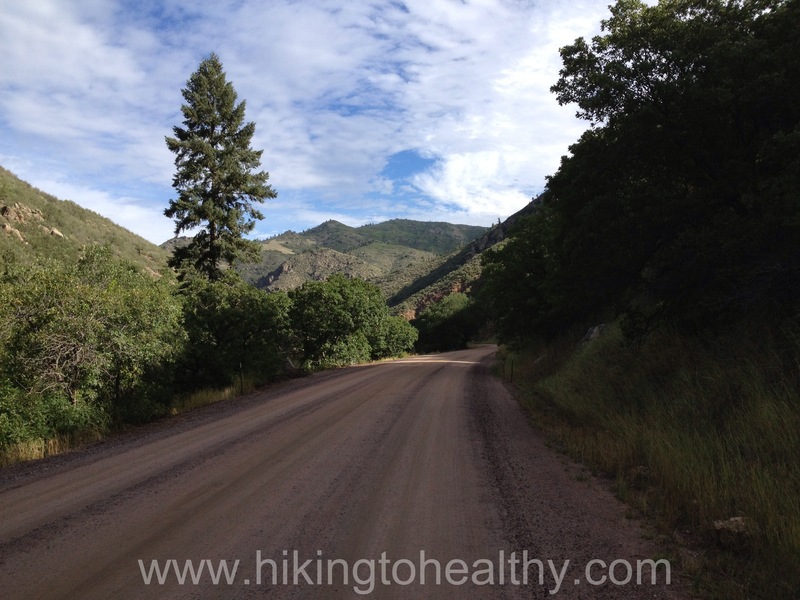 In the end we did the entire 12.6 miles up and back at Waterton canyon and even jogged a couple of miles down so we finished in just 3.5 h ours. The day was insanely beautiful, if a little humid and we had it mostly to ourselves on a perfectly normal-seeming day. I was so glad we chanced it and headed out when we could. 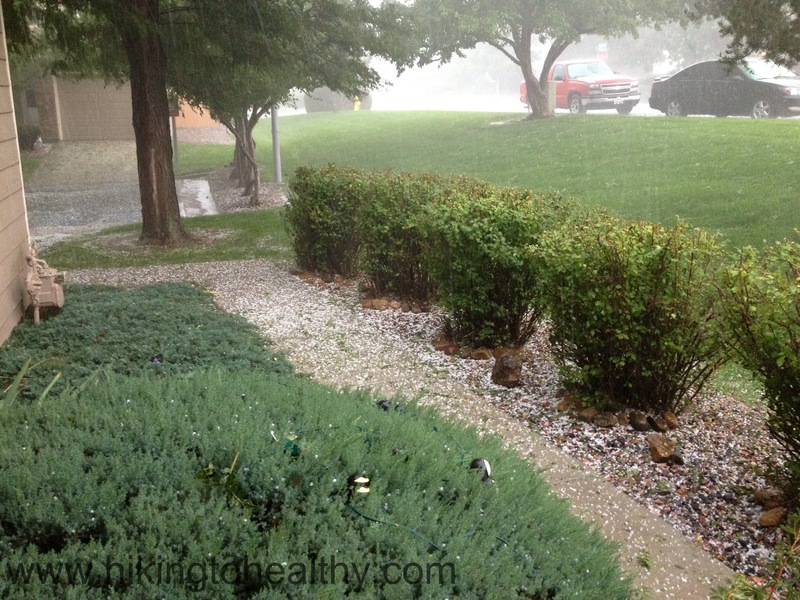 We got home just in time for the next wave of insanity to begin, which started out with an awesome hail storm that flooded our backyard in just 3 minutes as we watched with bated breath…. praying “please don’t go over the edge into the window well”….. We totally lucked out! Thanks! It has been a crazy week for sure! But the sun is out now and drying areas out a little. Hopefully the rains will subside long enough for the ground to she’d it’s excess water. Good to hear that you got through it relatively unscathed. It made the news over here in the UK – so was obviously pretty big. Wow! You heard of it there! We have had no rain for 24hrs-ish and the sun is bright and strong! Hoping it stays that way for a while to help out all those flooded communities. Wow! I had no idea there were still places to go this past weekend. I wrote off all outdoor activities in the area, and just stayed in Denver and drank. Good for you! I was all over the web trying to make sure it was safe before we even left the house, surprisingly that area was not very hard hit. But when we got home we stayed put with our good friend Vodka! Adding this to our must hike list. Thanks! 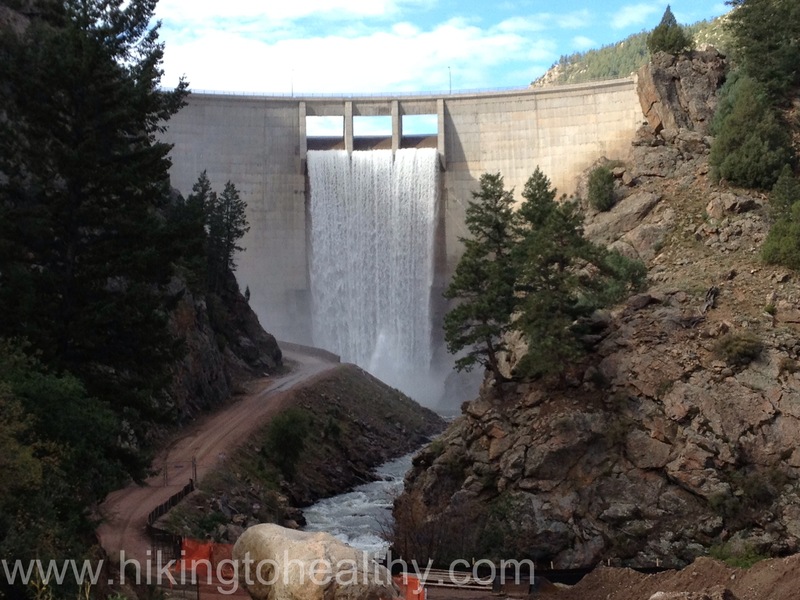 I’m glad you managed to find a good hike and that you are ok. We’ve called CO home for 18 years and nothing like this flooding has ever occurred….it’s devastating and sad. I’ve managed to get my hiking up to 2 hours. We’ll continue to add slowly. It really is Ingrid, like you I am just so sad at all that has been destroyed! I hope your daughter is safe and ok! Congrats on the 2 hr milestone, that is awesome!!!! Keep at it! Glad you are safe. Be careful out there. I am betting it will be no sooner than December before we have access to many of the locations we love. That bet is only if we have a late winter. Hey thanks! I hope December is right on, I am missing my favorite places already! LOved your last post! Those night pictures AMAZING!